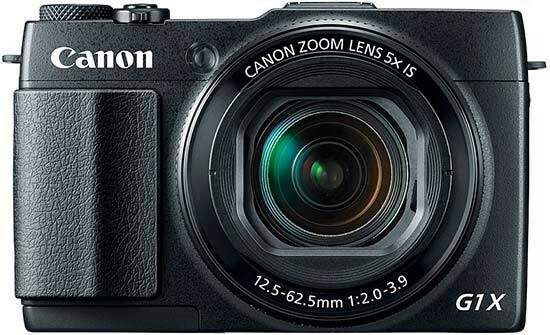 Listed below are some of the rivals of the Canon PowerShot G1 X Mark II. The Nikon Coolpix P7800 is a brand new premium compact camera for the keen enthusiast. The P7800 principally adds an electronic viewfinder to last year's P7700 model - is this enough to compete with the likes of the Canon PowerShot G16? Read our expert Nikon P7800 review now, complete with full-size JPEG and RAW sample images. The Panasonic Lumix DMC-LX7 is the latest premium compact camera hoping to find a place in a professional photographer's pocket. With the fastest lens of any compact to date, the LX7 also offers an improved 10 megapixel sensor, full 1080p HD movies and an even better control system than the previous LX5 model. Read our in-depth Panasonic Lumix DMC-LX7 review with sample JPEG, RAW and video files now.